Economically speaking, using taxes to alter consumer behavior does work. Consumers are price sensitive, so making unhealthful foods ridiculously expensive while making healthful foods more affordable seems to make sense if you wish to use taxes to shape behavior. But in a free society, it's always better, in my opinion, to rely on public education and limits on advertising to allow consumers to make their own informed decisions about what they wish to purchase and consume. If consumers were really aware that hot dogs cause brain cancer, for example, (because of sodium nitrite), or that high-fructose corn syrup promotes diabetes and obesity, they might make far better decisions about what they wish to feed themselves and their children. At the same time, you can't discount the impact of interventionist tax policy to alter point-of-purchase prices. Imagine taking this to the extreme: What if a bag of fresh apples cost one penny, while a box of apple-flavored Pop-Tarts cost $10? How would that alter consumer behavior? Most families, out of sheer economic necessity, would opt for the far cheaper fresh produce while avoiding the extremely high cost of processed foods. 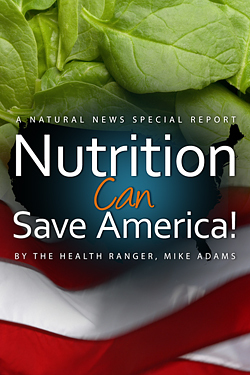 The cost of subsidizing the healthful foods would be easily earned back by the nation in terms of greatly reduced health care costs and increases in economic productivity (not to mention improved happiness, lower rates of disease, improved results in education, etc.). In fact, it's not unreasonable to suppose that in a progressive, health-conscious nation, all fresh produce might be fully subsidized by the taxpayers, effectively making their purchases (virtually) free. Imagine ten cents for a pound of carrots, or fifty cents for a bunch of organic broccoli. This could be done through taxes subsidies, if desired. There would be fraud in the system, of course. Growers would try to claim more subsidies than they are due, so you can expect some waste overhead to exist. You would also see Americans making "junk food border runs" to Mexico and Canada where junk food items are sold at market prices instead of the high-tax prices enacted in the USA. In effect, you would see "junk food smugglers" bringing in truck-loads of Pop-Tarts and Frosted Flakes in order to make a profit undercutting the high-tax retail prices in the U.S. The scope of this activity would be directly proportional to the difference in prices between the U.S. vs. Mexico (or Canada). As is typical of Big Government, the feds would then criminalize the covert importation of junk foods and start running raids on junk food smugglers. You could literally go to prison for getting caught with a van full of Pop-Tarts! That's why taxes and subsidies are a messy business. Nations must tread carefully in this area. If taxes on junk foods are too high, they will inevitably create a very large underground market for smuggled junk foods, resulting in a rather large "criminal" operation of junk food smugglers and the widespread avoidance of the very taxes intended to be imposed.